Following their overtime loss to the Cleveland Cavaliers in Game 1, the Toronto Raptors now have a substantial test ahead of them. Entering the game as home favorites, the Raptors got off to a strong start, and led James’ Cavs in all four quarters, before melting down when it mattered most. The loss will be a significant mental challenge for team frequently accused of struggling in the clutch. However, they are the deeper team than the Cavs, and have a number of advantages in the series. 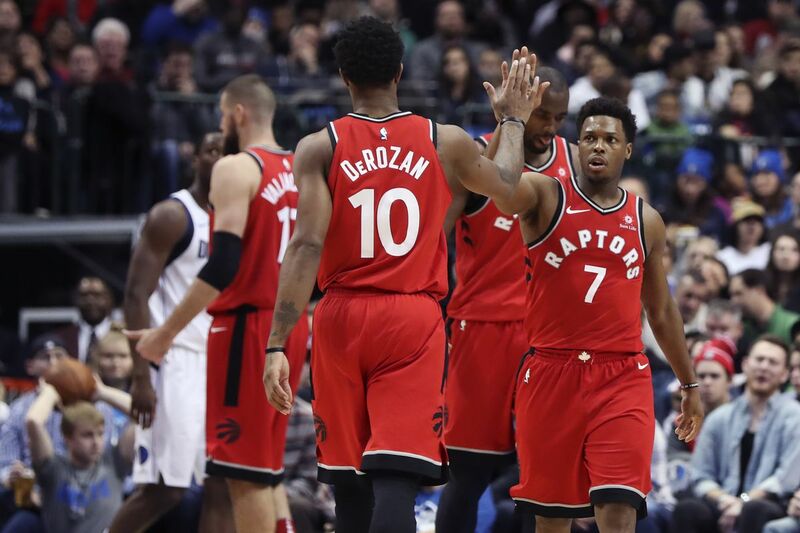 Here are five things Toronto need to do in order to get back into the series, and ultimately book their place in the Eastern Conference finals. “I’m burnt right now… I’m ready to go home”. These were the words that James used to describe how he felt after a long, hard-fought series against the Indiana Pacers. Never before has James had to carry such an immense load, and it has clearly taken its toll on him both physically and mentally. If the Raptors have any hope of advancing to the Eastern Conference Finals, they have to force James to the absolute brink of exhaustion. Force him to score 40 points. Force him to grab 15 rebounds. Force him to play defense. Force him to do everything. Toronto need to throw multiple looks at James defensively. OG Anunoby and Pascal Siakam will likely bare the bulk of that responsibility, but Delon Wright, CJ Miles and Serge Ibaka can also take their turn at defending the King. By rotating his defender, the Raptors ensure that they always have a fresh set of legs hounding James and forcing him to expend more energy as the series progresses. Although the Cavaliers struggled from the 3-point line in the first round, the Raptors can’t count on that trend continuing into the second round. During the regular season, the Cavs were an elite 3-point shooting ball club ranking third in 3-pointers made and sixth in 3-point field-goal percentage. Although the Raptors are a much improved perimeter shooting team this season, they still couldn’t quite match Cleveland’s outside efficiency. Kevin Love has struggled thus far in the playoffs, but that doesn’t change the fact that he poses a really tough matchup problem for the Raptors. If Coach Lue plays Love at center for the remainder of the series, the Raptors will struggle to match-up defensively. Valanciunas has proven to be a very valuable low post scorer in the Raptors half-court offense, but his lack of mobility will make it hard for him to defend Love on the perimeter. Likewise, if the Raptors move Ibaka or Siakam to the center position to guard Love, this effectively opens up a highway straight to the basket for LeBron James and the help-defensive will be help-less. Considering how important the Toronto bigs have been for them all year long, it will be up to Coach Casey to find a way to keep the big-men on floor while not giving anything up to the Cavaliers on the defensive end. The Raptors are arguably the deepest team in the NBA. This typically has little bearing in the playoffs when rotations start to shrink and the more top-heavy teams start to provide more valuable, however, in this series the Raptors can turn the tables. Given that Cleveland has just gone through a war with the Indiana Pacers, the Raptors can use their bench unit to squeeze a little more energy out of the Cavaliers starters and allow Toronto’s starters to rest just a little longer. Given that each of Cleveland’s wins in their first round series with Indiana were won in the fourth quarter, it’s fair to think that if the Raptors bench can pull their weight, Toronto have a better chance of stealing those close games in crunch time. The Raptors have to run the Cavaliers into the ground. Although the Cavaliers have only played one extra game than the Raptors, it certainly doesn’t seem that way. Add to the fact that the Raptors are the 8th youngest team in the league and run 12 players deep, while the Cavaliers are the oldest team in the NBA and rely HEAVILY on one player, it’s easy to see how fatigue has affected one team drastically more than the other. Furthermore, James has been playing 41 minutes per game while the Raptors all-star duo has only been on the floor for 36 minutes a piece. Because of this Toronto has to exhaust the top-heavy Cavaliers by pushing the pace of this game as much as possible: run in transition, hit the boards on both ends and play tough, physical defense. The Cavs are coming into this series already leaning on the ropes and the Raptors have all the tools to finally knock them out. This article was originally published here at OTG Basketball. For more from OTG, follow them here.